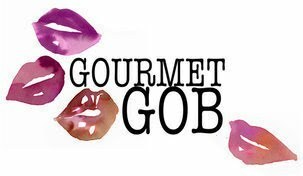 Gourmet Gob: Champ for Saint Patrick's day! At the moment spring onions are in season, as its St Patrick's day I thought I ought to add champ to my blog recipes! For those of you who don't know champ is basically mashed potato with spring onion. 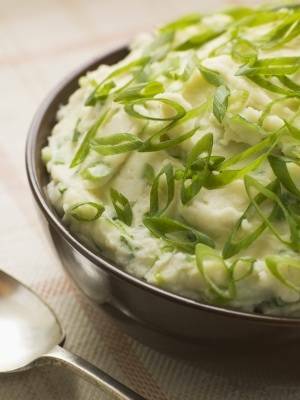 Mashed potatoes is my ultimate comfort food and you just cant beat the sweetness of the spring onions. Fill a large pan with boiling water and a teaspoon of salt, add the potatoes and cook until tender (20 minutes aprox). Drain the potatoes and leave for 5 minutes to dry out (cover with a clean tea towel). Mash the potato, I find that a potato ricer works well but you can use just a normal masher (NEVER use a food processor to make mashed potatoes. They will become gooey and gluey). Melt the butter and cook the spring onions for 1 minute, add the milk and on a low heat warm through the mixture. Add the milk mixture to the mashed potatoes and mix. Season with salt and pepper and serve! Perfect on its own or with cooked meat/fish.